Want to show off your Fortnite kills everywhere you go? 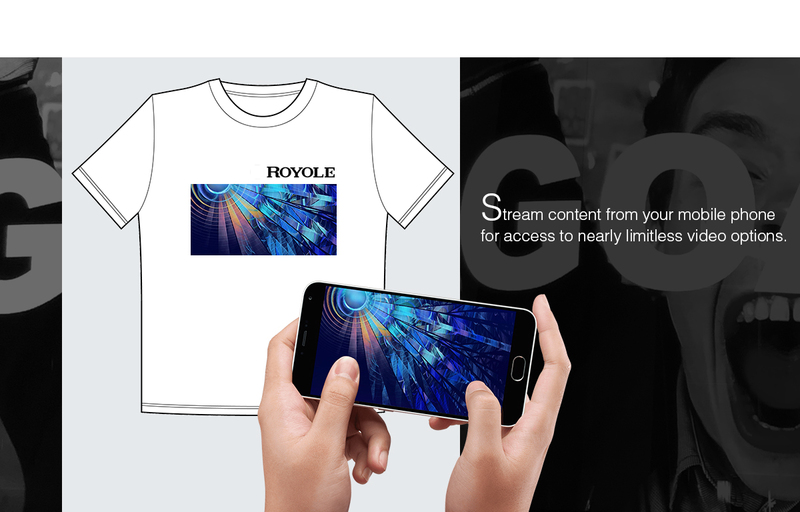 Try streaming it straight to your shirt. The screen has a 2K resolution and is just 0.01mm thick -- about a fifth the width of a strand of hair. And it features a bending radius of 1mm. What does all that mean? It means it’s bendy. Like, really bendy… enough to put on T-shirts or hats. To show that they really work, the company outfitted fans at the World Cup in Russia with the wearable screens. You can actually buy them right now from its website. The combo is probably made for ballers like Drake and Chance the Rapper rather than some random like me, because the combo is priced at US$1,399. You can also just buy either the shirt or the hat on its own for US$899 per unit. But, let’s be real for a second. While it’s cool as hell, it’s also incredibly impractical: To watch the screen, you’d have to actually remove the hat or shirt… which somewhat defeats the purpose of wearing an item of clothing if you’re just going to take it off. Still, if you do want to get it -- which means you’re probably not a poor journalist -- here’s what you need to know. The company says the screen can be connected to your phone and functions as a touchscreen. The hat and the T-shirt are both equipped with small external batteries that allow the display to stay on for about 10 hours. According to Royole, there’s no magic with the shirt and the hat. The combo is essentially normal clothing, but with the screen and battery attached by hook-and-loop fasteners. It allows the electronic components to be removed for washing and cleaning. In the past few years, the six-year-old startup has been receiving a lot of attention. Its latest fund-raising round raised about US$5 billion. Last month, it announced the mass production of its AMOLED screens in Shenzhen. It boasted that its new factory is capable of producing more than 50 million flexible display units in a year.